Can You Dig What I'm Sayin'? 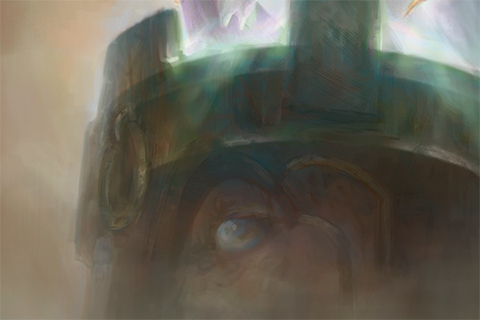 Welcome to Things Are Not As They Seem Week here at DailyMTG. Today, let's combine the week's theme with a Khans of Tarkir card that is popular not only in Standard, but also in Vintage. What the...? Is that an eye? Action: This spell allows a Sultai mage to look into a pool of water and see the past—and perhaps the future. 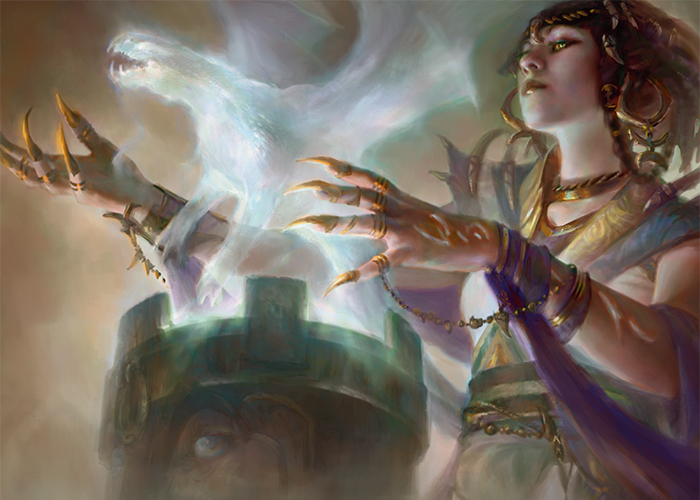 Show a Sultai noblewoman peering down into a bowl of glowing blue-tinted water. As we look over her shoulder, we can see that the bowl is actually a zombie's head with the top sawed off. We see just a hint of a UB dragon's silhouette emerging from a storm in the surface of the water. Mood: Fascinated. She knows knowledge is power, and this is the ultimate form of knowledge. 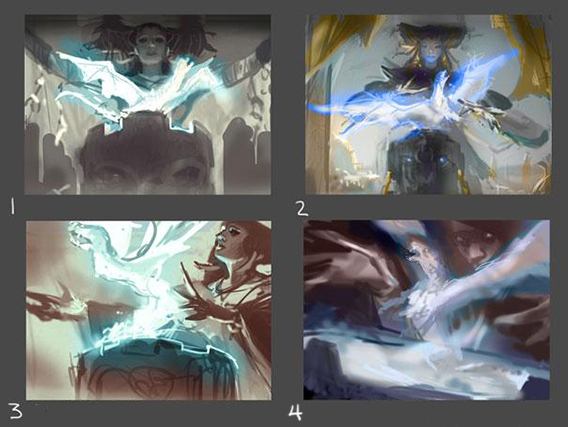 Artist Ryan Yee played around with the composition a little bit, as can be seen in the sketches for the art. Would you like to see those as well?